"I am out here because I am part of the masses of people in St. Louis and soon to be in the nation that is exhausted and fatigued with the progression of police genocide, it's not police brutality anymore, it's genocide against young black Americans," said Sunny Ford, during a rally on Tuesday, Aug.12, 2014, in Clayton, protesting the fatal shooting of Michael Brown by a Ferguson police officer. 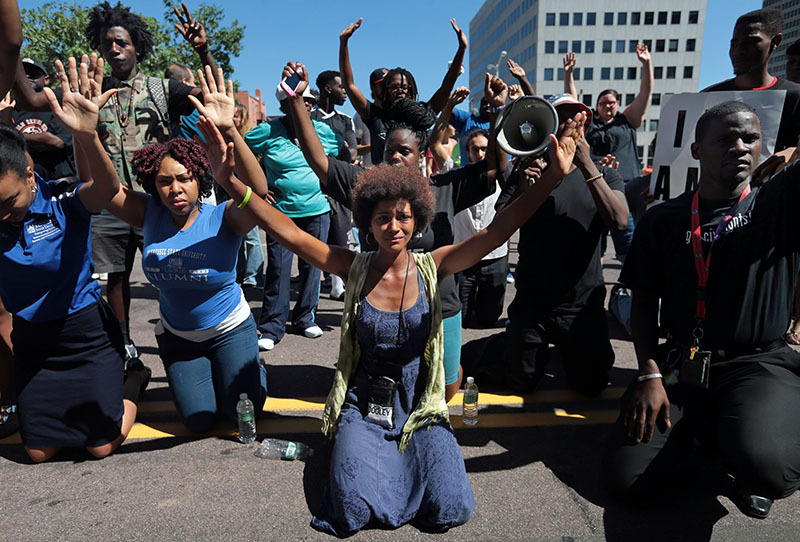 The "Hands up, don't shoot" gesture has become a rallying cry for protesters seeking justice. Some witnesses say Brown had his hands up in the air surrendering when he was shot.